Home » Blog » News and Events » OSC is looking for a qualified Physical Therapist Assistant! OSC Physical Therapy Center has an excellent opportunity for a full-time Physical Therapist Assistant to join the team at our expanding outpatient orthopaedic clinic. OSC Physical Therapy is a thriving, physician-owned practice utilizing the latest technology and techniques to effectively treat orthopaedic and neuromuscular disorders and pain. Administer physical therapy treatments, under the supervision of a Physical Therapist, to include manual therapy, neuromuscular re-education techniques, therapeutic exercise, modalities, traction, etc. 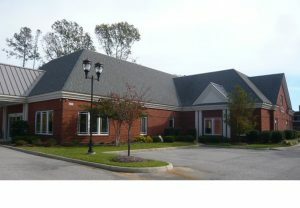 OSC Physical Therapy Center is located in a state-of-the-art facility located in the Port Warwick area of Newport News, VA. Our dynamic, hands on approach to treatment includes many of the latest technologies and specialties seen in Physical Therapy. OSC Physical Therapy Center currently has five Physical Therapists and four Physical Therapist Assistants that work comprehensively to address a wide variety of orthopaedic and post-surgical conditions. With treatment space totaling over 8.000 square feet including a sports floor, there is plenty of room to provide the treatment you want for your patients. 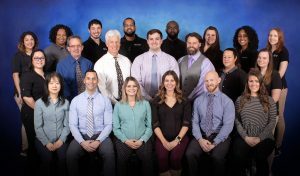 Our clinicians have varied and unique specialties to include practitioners of functional dry needling, use of the FMS/SFMA system, use of Kinesiotape, influence of pain science techniques and an overall dedication to corrective exercise and hands-on, manual and neuromuscular re-education techniques. OSC Physical Therapy Center is dedicated to a strong team dynamic with open communication among providers. OSC is currently in the process of building an Ambulatory Surgical Center (ASC) in which a majority of surgical procedures typically performed by OSC Physicians will be performed right next door! This will open up the opportunity for surgical observations. The Hampton Roads area of Virginia is comprised of beautiful, waterside communities with a population of 1.7 M. Home to the largest naval base in the world and the Air Force, Army and Coast Guard. Hampton Roads also is home to other large employers, such as Newport News Shipbuilding, Canon and NASA. Newport News, Williamsburg, Norfolk and Virginia Beach have many attractive residential areas, excellent school systems and universities. Please send your resume or CV to Tom Toothaker, PT, DPT, Physical Therapy Director, at ttoothaker@osc-ortho.com. No phone calls, please.